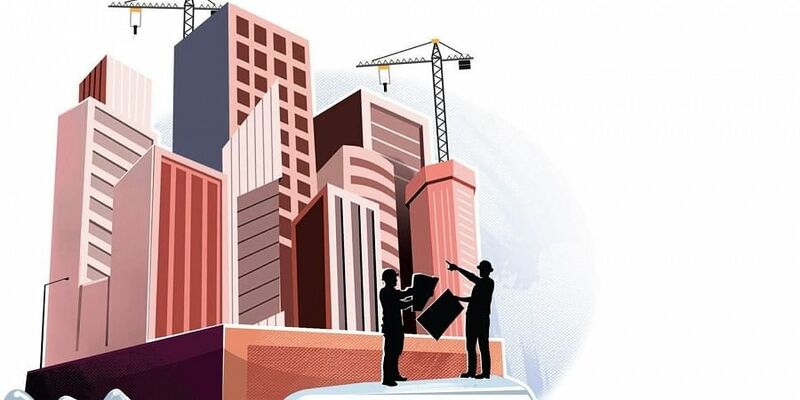 The brick and mortar Indian real estate segment and business contributes a significant chunk of India’s GDP. While the segment, which comprises of large organized and unorganized small players, may have been slow to adopting emerging technologies, that is rapidly changing. The steady adoption and utilisation of new technologies like artificial intelligence and augmented reality indicates that real estate players are fast realizing the potential offered by these solutions and how they can transform the industry. Real Estate industry in India today is at an inflection point as far as tech adoption is concerned. According to industry veterans, builders, analysts, and technology providers, the application of technology in a sector which involves of thousands crores of rupees can save a lot of money. As per a recent report published by real estate services and investment firm CBRE, new technologies such as Artificial Intelligence, Augmented Reality, Internet of Things, Robotic Process Automation and Blockchain have already begun reshaping how the sector works. For instance, AI is allowing for more productive decision-making in location selections, predictive maintenance of assets, easing portfolio planning, reconfiguring workspaces, automating FM processes and making spaces smarter. Similarly, IoT is allowing for the construction of smart buildings and smart cities, while simultaneously creating more data for downstream data analytics across portfolios. IT is also being used to fine-tune portfolio management decisions and enabling more accurate valuations. “Technology will continue to impact occupier and developer decision-making, resulting in increased flexibility in both space leased and released,” said a report from CBRE. This growing demand in the sector has prompted young entrepreneurs to develop real estate-oriented software solutions. For example, BuildSupply develops a cloud-based ERP solution specially developed for the real estate segment which aims to bring about standardization and transparency in the development and construction processes. The solution helps automate processes around budgeting & estimation, tendering, invoicing and billing, resource planning, scheduling, and material management. The company which works with Godrej Properties Limited, SARE Homes and Nelson India had recently raised $3.5 million in a Series A round. “In an industry that has historically struggled with project delays, cost overruns and leakages in the procurement process, we see a tremendous opportunity to create scalable efficiencies for our customers. We see more adoption of proptech in the next five years,” said Sameer Nayar, CEO and Founder, BuildSupply. At a time when the government’s recent policy initiatives like GST and RERA has brought in more accountability, the use of blockchain technology also has increased transparency in the Indian real estate segment. “Real Estate, an industry perennially plagued with trust & transparency issues, is surely slated to get disrupted as the Internet did a few decades ago with the new paradigm brought by Blockchain. The inherent strength of Blockchain with regards to Transparency, Fraud Prevention, Traceability & Efficiency would disrupt the real estate domain right from purchasing to due diligence to encumbrance,” pointed out Chirag Boonlia, Chief Technology Officer at Embassy Group. Indian property developers are also using technologies that would specifically help in reaching out to clients more effectively, including social media, VR/AR and 3D printing. This helps them tap into the buyers’ market more effectively. “In the last 10 years, the real estate industry witnessed a strong integration of digital and automated technologies like Data Analytics, Data Mining, Artificial Intelligence, Virtual Reality, and Machine Learning. Developers have now shifted their focus towards customer centricity and customization to meet the ever-evolving desires of the home buyer,” said Ashish Puravankara, Managing Director, Puravankara Limited. The evolution of proptech or technology for real estate might still be in its nascent stages in India, but it evolving and it is expected to provide a major boost for the segment. New technologies such as Artificial Intelligence, Augmented Reality, Internet of Things, Robotic Process Automation and Blockchain have already begun reshaping how the sector works. AI is allowing for more productive decision-making in location selections, predictive maintenance of assets, easing portfolio planning, etc. On the other hand, IoT is allowing for the construction of smart buildings and smart cities, while simultaneously creating more data for downstream data analytics across segments.